Founded in 1995, KEPO Electronics is a Sino-Korean company with headquarters both in the city of Ningbo, China and Taipei, Taiwan, which specializes in the professional production of acoustic and electronic equipment. KEPO are dedicated to design and manufacturing of high-quality sound and security systems and are one of the leading manufacturing companies on the market certified by all international and European standards and regulations for safety and quality. Since 1999, the company is certified by ISO9002: 1994, in 2002 received a certificate for successful implementation of ISO9001: 2000, in 2005 is certified by ISO14000: 200 and in 2007 successfully passed a certification by ISO / TS 16949: 2002. In 2007 KEPO received IATF Certificate (No. 0048630) and CASC Certificate (No. 2007A024). In June 2004, KEPO also obtained RoHS Certifiate (Restriction of Hazardous Substances) for the whole range of their products. In accordance with the needs of customers, the brand is also approved by quality certifications on CE, UL, E-MARK, etc. At present, the companyowns four factories located in the city of Ningbo, China, and one located in South Korea. KEPO Electronics covers an area of ​​16 000m2, combined with twelve product lines and more than 1,000 employees. The main products developed and produced by KEPO include: buzzers, piezo buzzers, magnetic buzzers, smd buzzers, piezo ultrasonic transducers, microphones, receivers, alarms and other types of loudspeakers. Each year, Kepo invests 5% of its revenue from sales to R&D, which is the key factor for their rapid and stable success. In order to better meet the needs of the market for new products in 2003 Kepo built R&D base in Soutch Korea, which is engaged in innovations and research for new and better materials. In 2005, Kepo has also established R&D center located Ningbo, China with the aim of developing new products and improving existing technologies, some of which are imported from Japan, America and South Korea. VIKIWAT Ltd. is the Exclusive representative of KEPO for Bulgaria and offers the full range of products offered by the brand. 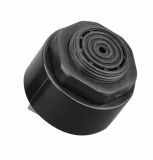 As a wholesaler and retail VIKIWAT offers a diversity of products on stock and fast delivery of piezo buzzers, receivers, sensors, sirens and more at competitive prices. For additional information, please visit our online store! Piezo siren, KPS-G6046, 24 VDC, 88-100 dB, 700 Hz Piezoelectric siren KPS-G6046 with nominal voltage 24 VDC, min. sound pressure level 88 - 100 dB and resonant frequency 700 Hz and stand. List Price 13.90лв. VAT Incl. 13.21лв. VAT Incl. 12.51лв. VAT Incl. 11.82лв. VAT Incl. 11.12лв. VAT Incl. 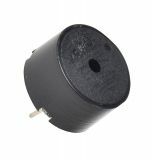 Piezo siren, KPS-G6028, 12 VDC, 100 dB, 2 kHz Piezoelectric siren KPS-G6028 with nominal voltage 12 VDC, min. sound pressure level 100 dB and resonant frequency 2 kHz and stand. List Price 14.90лв. VAT Incl. 14.16лв. VAT Incl. 13.41лв. VAT Incl. 12.67лв. VAT Incl. 11.92лв. VAT Incl. Ultrasonic transducer, PCT-G4000, 2.83Vrms, 90dB, Ф41x12mm Ultrasonic emitter with piezoelectric diaphragm PCT-G4000 wth rated voltage 2.83 Vrms (Sine wave), min. sound pressure level 90dB and body dimensions Ф 41 x 12 mm. List Price 3.30лв. VAT Incl. 3.12лв. VAT Incl. 2.96лв. VAT Incl. 2.80лв. VAT Incl. 2.64лв. VAT Incl. 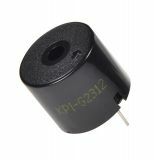 Piezo transducer, KPR-G2313, 12Vp-p, 80dB, 4kHz, Ф23x4.2mm, without generator External-driven piezo transducer KPR-G2313 with min. sound pressure level 80 dB, rated voltage 12 Vp-p (Square wave), resonant frequancy 4 кHz and body dimensions Ф 23 x 4.2 mm. List Price 1.25лв. VAT Incl. 1.19лв. VAT Incl. 1.13лв. VAT Incl. 1.06лв. VAT Incl. 1.00лв. VAT Incl. Piezo buzzer, KPI-G3739, 12VDC, 90dB, 2.9kHz, Ф36x46.5mm, with generator Self-drive piezo buzzer KPI-G3739 with minimum sound pressure level 90 dB, rated voltage 12 VDC, resonant frequency 2.9 кHz and body dimensions Ф 36 x 46.5 mm. Price 5.95лв. VAT Incl. 5.65лв. VAT Incl. 5.36лв. VAT Incl. 5.05лв. VAT Incl. List Price: 8.50лв. VAT Incl. 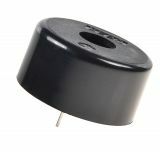 Buzzer, KPI-G2344, 24VDC, 88dB, 3.1 KHz, Ф23x16mm, piezoelectric, with generator Self-drive piezo buzzer KPI-G2344 with min. sound pressure level 88 dB, rated voltage 24 VDC, resonant frequancy 3.1 кHz and body dimensions Ф 23 x 16 mm. List Price 3.50лв. VAT Incl. 3.33лв. VAT Incl. 3.15лв. VAT Incl. 2.98лв. VAT Incl. Piezo element FT-15T-4.0A1, 0-30 V, 4.0kHz, Ф15x0.13mm, without generator Piezo electric plate FT-15T-4.0A1 with 4 kHz resonant frequency, 500 Ohm impedance, Ф 15 x 0.13 mm body dimensions, without generator. List Price 0.99лв. VAT Incl. 0.94лв. VAT Incl. 0.89лв. VAT Incl. 0.84лв. VAT Incl. 0.79лв. VAT Incl. 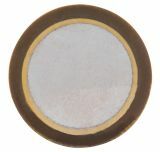 Piezo element FT-35T-2.9A1, 0-30 V, 2.9kHz, Ф35x0.55mm, without generator Piezo electric plate FT-35T-2.9A1 with 2.9 kHz resonant frequency, 300 Ohm impedance, Ф 35 x 0.55 mm mm body dimensions, without generator. List Price 1.50лв. VAT Incl. 1.43лв. VAT Incl. 1.35лв. VAT Incl. 1.28лв. VAT Incl. 1.20лв. VAT Incl. Piezo transducer, KPT-1711A3, 80dB, 4kHz, Ф16.8x7mm External-driven piezo transducer KPT-1711A3 with min. sound pressure level 80 dB, rated voltage 12 Vp-p (Square wave), resonant frequancy 4 кHz and body dimensions Ф 16.8 x 7 mm. List Price 4.50лв. VAT Incl. 4.28лв. VAT Incl. 4.05лв. VAT Incl. 3.83лв. VAT Incl. 3.60лв. VAT Incl. List Price 11.90лв. VAT Incl. 11.31лв. VAT Incl. 10.71лв. VAT Incl. 10.12лв. VAT Incl. List Price 8.50лв. VAT Incl. 8.08лв. VAT Incl. 7.65лв. VAT Incl. 7.23лв. VAT Incl. 6.80лв. VAT Incl. List Price 2.30лв. VAT Incl. 2.18лв. VAT Incl. 2.07лв. VAT Incl. 1.95лв. VAT Incl. 1.84лв. VAT Incl. Price 3.43лв. VAT Incl. 3.26лв. VAT Incl. 3.09лв. VAT Incl. 2.92лв. VAT Incl. 2.74лв. VAT Incl. List Price 4.90лв. VAT Incl. 4.66лв. VAT Incl. 4.41лв. VAT Incl. 4.17лв. VAT Incl. 3.92лв. VAT Incl. List Price 4.20лв. VAT Incl. 3.99лв. VAT Incl. 3.78лв. VAT Incl. 3.57лв. VAT Incl. 3.36лв. VAT Incl. Price 2.03лв. VAT Incl. 1.93лв. VAT Incl. 1.83лв. VAT Incl. 1.73лв. VAT Incl. 1.62лв. VAT Incl. List Price 2.90лв. VAT Incl. 2.76лв. VAT Incl. 2.61лв. VAT Incl. 2.47лв. VAT Incl. 2.32лв. VAT Incl. List Price: 2.90лв. VAT Incl. List Price 2.20лв. VAT Incl. 2.09лв. VAT Incl. 1.98лв. VAT Incl. 1.87лв. VAT Incl. 1.76лв. VAT Incl.